Open your life to the world. Create a new experience in a safe and friendly town. 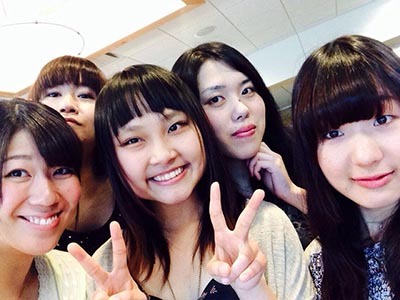 Improve your English skills in an academically challenging American institution! Welcome to St. Norbert College, established in 1898, we are a fully accredited and nationally recognized institution with an academically challenging program. Our English as a Second Language Institute has been offering classes here since 1993. 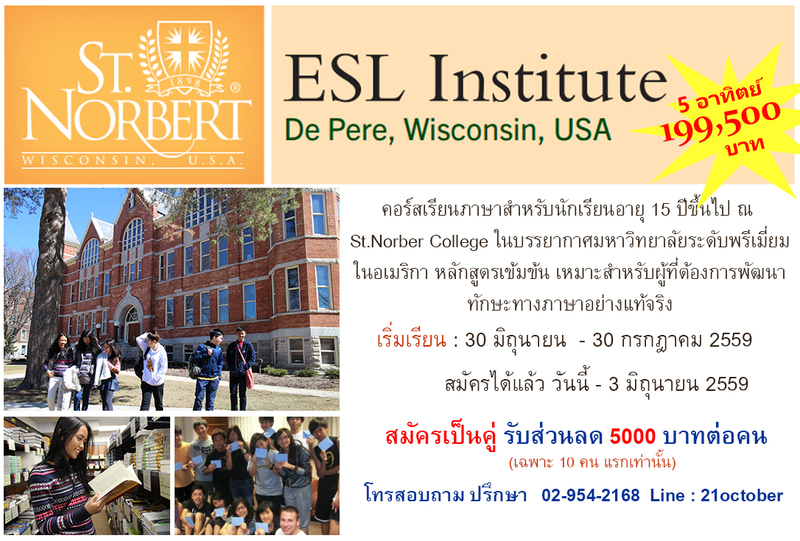 The ESL Institute at St. Norbert College provides intensive, multi-skill English language instruction to enable students to learn English and adjust to U.S. culture. Whether your goal is to learn English to succeed in an American classroom or to improve your performance in professional, academic and social environments, we have a wealth of experience to offer you in a beautiful setting on the Fox River in northeastern Wisconsin, near Green Bay. • English classes for 20 hours per week with variety of classmate from all over the world. • Use of college facilities such as computer labs, sports facilities, music practice rooms, and more. This trip was very special for me because it was the first time I went outside of Thailand, my first flight and my first time away from my family. It was a big step and seeing a bigger world made me grow up a lot. I learned to take care of myself. The best part of my trip was the friends I made. I met a lot of friends at St. Norbert. I was the only Thai there, but I felt very welcome from both Americans and friends from other country in my ESL class. The professors were so nice and helped me as much as they could. Another thing I liked about St. Norbert was the atmosphere on the campus and around the campus. It was very warm and safe. It didn’t have the rush of a big town but it was also not boring. It was a great experience. I got friendships and great memories for my life. I want to go there again if I can.